Waking up dead makes for a very bad day. Agatha awakens buried in the earth. Her mouth filled with dirt and mud, she crawls from the filth to rejoin the living. Naked and covered in disfiguring scars, she is a horror to all who meet her. A blind gypsy takes her in and gives her clothes and she finds her voice and her way. She must return to the city and find who did this to her-who make her the way she is. Her body oozing puss and a foul odor of the dead, Agatha knows she is different from other girls and when a prostitute rescues her from the streets of Whitechapel, she learns skills to keep herself alive. Can she find the men who made her into a monster that other women fear? Will she become a freak at a side show or exact her revenge? 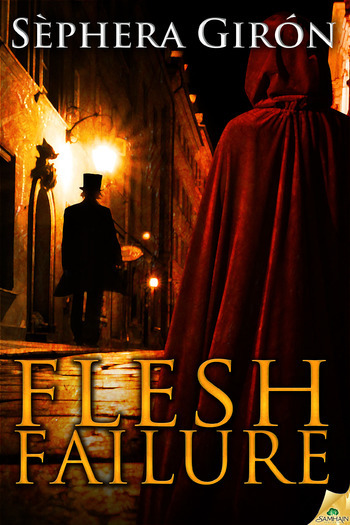 This story had many elements of Frankenstein and Jack the Ripper that blended well together. The concept of a woman being brought back to life in the fashion of Mary Shelley’s epic tale and then discarded before the authorities could be alerted to the monstrous nature of the experiment were well suited to the time. Women were second class citizens and in this tale it takes an even darker turn. While I enjoyed the overall idea of the story, some points in the execution left something to be desired. The repetition of words and awkward phrasing made a good portion of the book difficult to get through without wincing. I rooted for the girl who rose from the dead and wanted her murderers to get their due, but I strong bit of editing on this story would have gone a long, long way. All in all, I enjoyed the mix of rotting zombie and Jack the Ripper. What a lovely idea that the two could remotely even be related. There is a definite spark of genius, but like all writers, an editing hand is worth much. Read this one in the light and be careful who you meet just outside the gates of the local graveyard.